Born in Goulbourn and later moved to Ipswich, Bennett began working for Queensland Railways in 1909 as an apprentice fitter. He volunteered for the AIF in 1915 and became a drill instructor rising to the rank of Sergeant-Major in the 4th Pioneer Battalion. Bennett was wounded twice in Belgium from gas and mortar attacks. He spent two years in hospital recuperating from his injuries however these injuries would continue to burden him for the rest of his life. He then returned to his career and worked as a fitter in Hughenden, Mayne Junction and eventually the Ipswich Railway Workshops where he became foreman of the Westinghouse Brake Shop. Bennett served for 51 years in the railways. 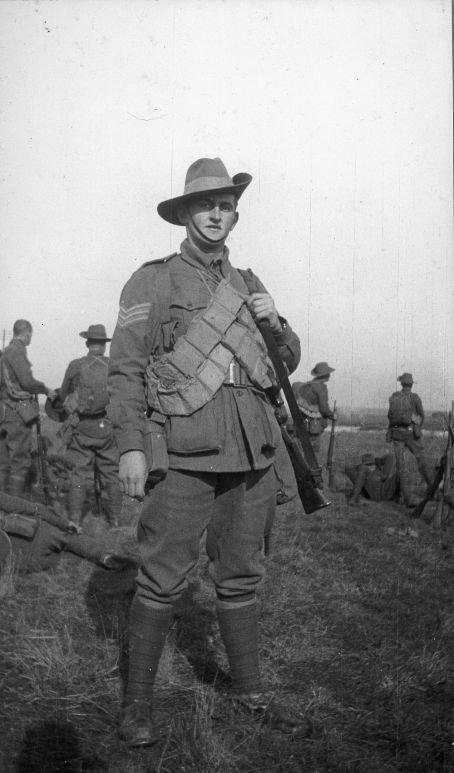 Staff Sergeant-Major Arthur Bennet during a smoko break on a route march, 1917. 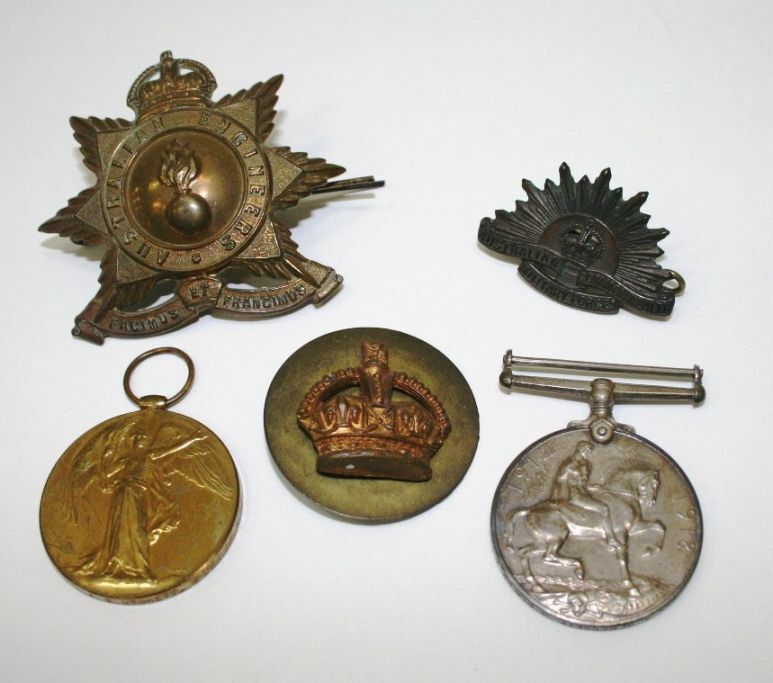 A selection of Arthur G Bennet’s service medals. The collection contains his service medals, shrapnel, postcards, photographs and souvenirs that Bennett bought back with him from the war. A keen photographer, he took many photos of his larrikin friends that he called ‘the Ipswich Lads’ as there were many other Ipswich men in the 4th Pioneers. Bennett’s collection will help the Museum to tell the story of railway men who contributed to the war effort, the adventures they experienced journeying to foreign lands as well as the hardships, pain and horror that they suffered both during and after the war. The two war medals (the British war medal & the Victory medal) should be re-ribboned & Court mounted in time for Anzac day next year. Typically professional medal mounters charge about $30 per medal so you would be looking at something like $60 dollars, additionally they research the soldier to see if he had other medals due to him.